Drinking enough water while running is vital for keeping your body performing at its peak. But how do you hydrate properly? That’s what I’m going to tackle in today’s post. By the end , you’ll need to know all you need to know about proper hydration while running. The human body is more water than anything else. More specifically, the brain is composed of 95 percent water; lungs are almost 90 percent, blood is 82 percent water. I could go on and on but you get the picture. That’s why water is the most critical nutrient for growth, recovery, health, and overall vitality. You can survive for as long as four weeks without food. Take water out of the equation, and you’d perish in less than three days. It flows through the bloodstream, carrying both nutrients and oxygen to cells, and flushing waste out of your body. It cushions our soft tissues and serves as a lubricant for our joints. It keeps our skin healthy by removing toxins. It regulates body temperature through sweating and respiration. It keeps us healthy and sane. According to the Institute of Medicine, roughly 75 percent of Americans are chronically dehydrated. Here’s the bad news. Dehydration interferes with your body’s ability to perform at its highest level. As the name implies, the condition occurs when you lose too much liquid without replacing it. 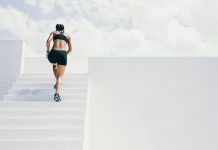 Research has found that runners who lose at little as two percent of body weight through sweating experience a drastic drop in blood volume, which, in turn, forces the heart to work harder to circulate blood. A reduction in blood volume may also cause fatigue, muscle cramps, dizziness, and heat-induced illnesses, such as heat stroke and heat exhaustion. Severe cases may result in death. Loss of consciousness (in severe cases). Proper hydration while running is not as difficult as you might have been lead to believe. All you need to do is to implement some of the following hydration strategies. The golden rule is to have half of your body weight in ounces each day. For example, if you weight 200 pounds, you’d ideally drink 100 ounces per day. That may strike you like a lot, but it’ll be easy once you build the habit. 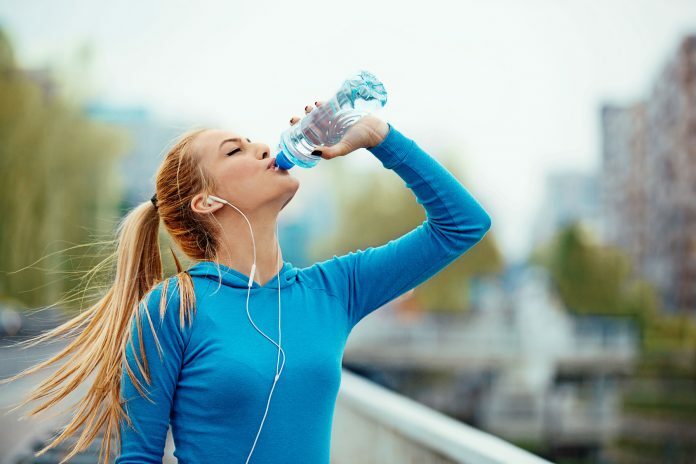 Keep your body well hydrated throughout the day instead of drinking lots of water at the beginning of your runs. Also, have water nearby the entire time. Keep a refillable water bottle at your work desk or in your car. This can remind you to keep your hydration topped up. Remember, if you feel thirsty, you’re already dehydrated—you waited until it’s too late. Drink plenty of water before you run. In the two hours before a workout, top off your fluid tank by gulping at least 16 to 20 ounces of water or sports drink. To make sure you’re well hydrated just before you start running, drink another four to eight ounces. While running, you lose fluids through perspiration and breathing. That’s why you need to drink plenty of water during low- or moderate-intensity exercise. In general, shoot for 150 to 250 ml—roughly one cup—for every 15 to 20 minutes of exercise. No water stops on your running routes? Carry your water. I recommend this fluid carrier to hold your fluids while running. 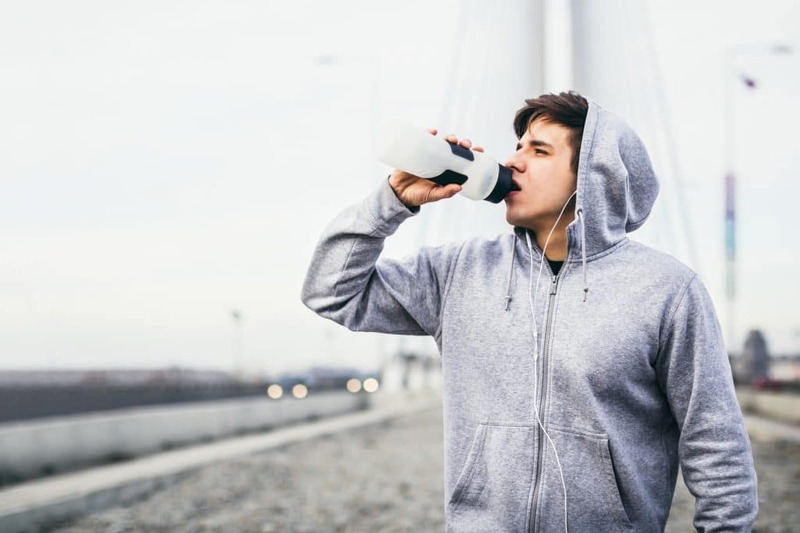 If you’re running for more than an hour, consider drinking 100 to 200 ml of a sports drink containing carbohydrates and electrolytes every 15 to 20 minutes. As soon as you’re done running, drink another two to three glasses within 10 to 15 minutes. Rememerb, as a runner, you can shed up to half a liter of fluid for each hour of running. This can get drastically higher when running in hot weather. Be careful. Have two glasses—500ml—two hours before your workout. Have one Have —250ml—10 to 15 minutes before a workout. Have another Have —about 75 to 250 ml—every 15 to 20 minutes while exercising. Have two to three glasses—500 to 750 ml—post running. These tips are the basic rules of thumb when it comes to proper hydration, but it’s vital to remember that everyone’s fluid needs are different. Some runners sweat more than others. To determine how much water you need, know your sweat rate. Weighing yourself both before and after a run will give you a rough idea on how much fluid you’ll need to replace. This is especially a good strategy if you’re running throughout the hot season. First, weigh yourself, preferably naked, before and after each session. Next, figure out how much (fluid) weight you lost, and deduct the weight of any fluid you drank while running. Last up, drink with the purpose of getting your weight back up to its pre-run level. As a rule, for every pound you’ve lost during a run, drink 16 ounces of water. For example, if you’re four pounds lighter after a two-hour run (which is the norm for me), drink 60 to 70 ounces in the hours following your workout. Just Don’t have it all at once. Drink about 16 to 20 ounces in the first-hour post-exercise, then keeping sipping every 10 to 15 minutes until reaching your target. On your next long run, aim to drink 60 ounces of more before or during the workout. Another easy way to tell if you’re drinking enough is the urine test. This may sound like an odd thing to do, but assessing the color of your pee is a tested and proven strategy to monitor hydration levels, according to the University of Connecticut research. Normally, your pee color ought to be light yellow—think lemonade. The clearer, the better. If your pee looks dark colored, concentrated, it probably means you’re dehydrated. Too transparent urine is a bit excessive. Wait wait… is there such a thing as drinking too much water. Overhydrating may force your kidneys to flush all the liquid out, resulting in annoying and frequent trips to the bathroom. It can also dilute your body’s sodium balance as well as increase your risks of hyponatremia. There you have it. The above hydration guidelines are all you need to keep your fluid tanks topped up so you can get the most out of your runs and workouts. The rest is up to you.